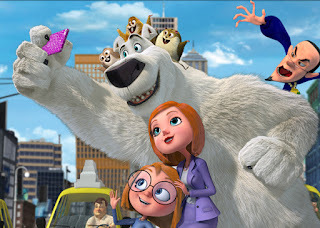 The animals of the North Pole have started putting on shows for human tourists, believing that if the humans love them, they will not destroy their habitat. When Norm, and English-speaking, dancing polar bear, learns that humans are intending to build houses on his polar land, he sets off to New York City in an attempt to stop them from ruining his home. Norm must first win the heart of the international community, and then he must use his popularity to turn people against the evil real estate tycoon Mr. Greene. Along the way, he hopes to find his grandfather, who has been missing for many years; Norm thinks that there might be more than one thing wrong with Mr. Greene. Foster families might see some relevance in this one. Norm has been separated from his grandfather, and isn’t sure where he’s gone. He fears that he has been abandoned by his grandfather. His home is threatened, and because of a problem at his home, Norm must travel far away, with the goal of returning back to his home. Norm is brave, and although he doesn’t fit others’ expectations of what a leader should be, he leads effectively. He depends on his own bravery and creativity, his own personality, and the encouragement of a friend. Norm is able to find out that his grandfather didn’t abandon him, but was taken away against his will. Some young viewers might find it too sad to see that Norm has been separated from his grandfather; when we finally do see his grandfather, we find that he has been mistreated. Some traumatic loss is suggested, as well. 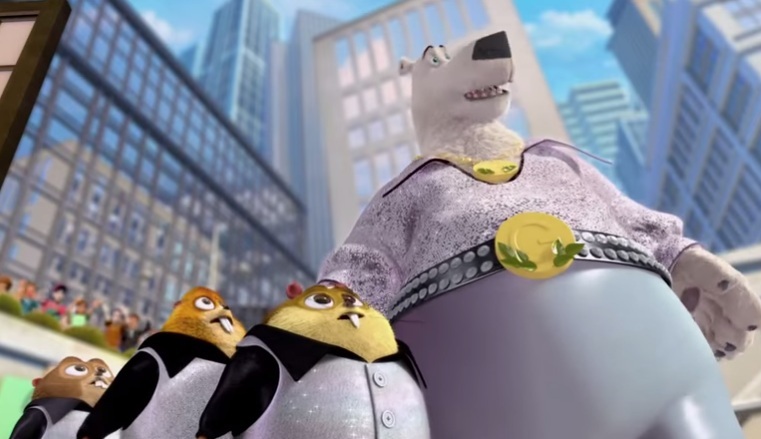 Norm is mocked and ridiculed by those close to him when he warns them of impending danger. One hero desperately wants to attend Magister Mundi school, which touts itself as being for “The Genius, The Gifted, The Great, and No One Else.” It’s a little confusing to have the goal of a hero to be to attend such a snobbish institution. 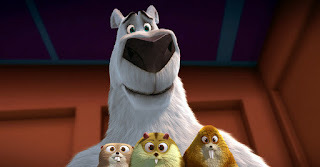 The film seems likely to appeal to only very young viewers, maybe 7 and under, but viewers in that age range might be particularly bothered by the themes of peril and loss regarding Norm’s loved one. Norm of the North reminds me of Paddington; in both films, a bear travels from a remote home to a big city in an attempt to find lost family. Paddington is a more endearing film, though. Norm feels dated and flat, and probably will lose the interest of kids much older than 7 or 8. At the same time, young viewers might be scared by the villain’s overt attempts to kill Norm and his grandfather, by talk of grandparental abandonment, and might also be particularly bothered by the sight of a long-lost relative finally being found, but being found in a cage. Kids who aren’t bothered by those themes might enjoy the silly slapstick comedy of Norm’s lemming friends. This might be a safe choice for kids ages 6-7, with parental guidance with regard to the themes mentioned earlier. It probably won’t be anyone’s favorite film, though. Why did Norm think he had been abandoned? How do you think he felt when he realized that he wasn’t abandoned? 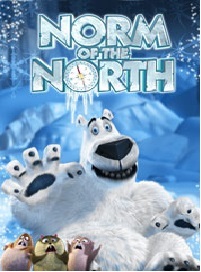 Is Norm a good polar bear? What makes him good?